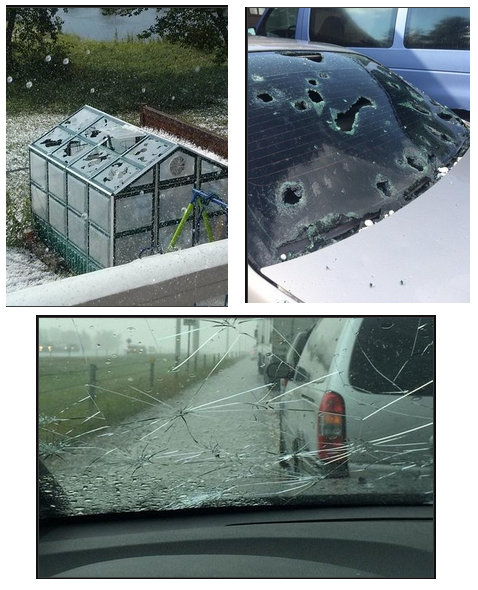 The Insurance Bureau of Canada (IBC) says the hailstorms that nailed Airdrie and area on August 7 and 8 caused more than $25 million damage. 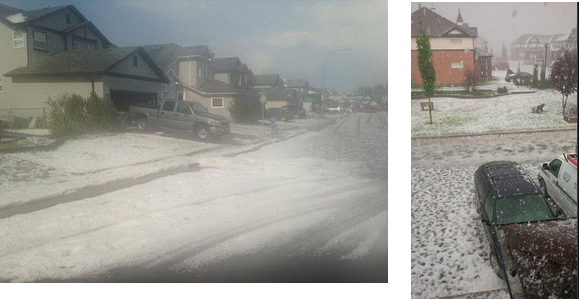 Alberta gets more hail than anywhere else in Canada, due to the presence of the Rocky Mountains and their role in thunderstorm formation. 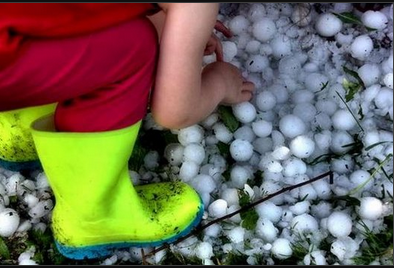 The nickname “Hail Alley” refers to an area stretching from south of Calgary to north of Red Deer and west of Highway 2 into the foothills. We are in Red Deer and my husband is in the roofing and exteriors industry. Let’s just say the hail events have made him a very busy person. Our yard was shredded but not as bad as the pictures above.